We LOVE Christmas , MERRY Christmas & HAPPY Yule sale at the Shop!!!!! DO YOU KNOW WHAT TIME IT IS !??!???!??! WITH A CHRISTMAS SPECIAL PROMOTION at #desmoinesnewageshop !!!!! This Puppy starts December 5th! And This stacking deal goes from the 5th to the 30th of December! you get a complimentary one card Tarot reading! you get a clear quartz and a link to a video on how to program your crystals, along with the complimentary one card Tarot reading! 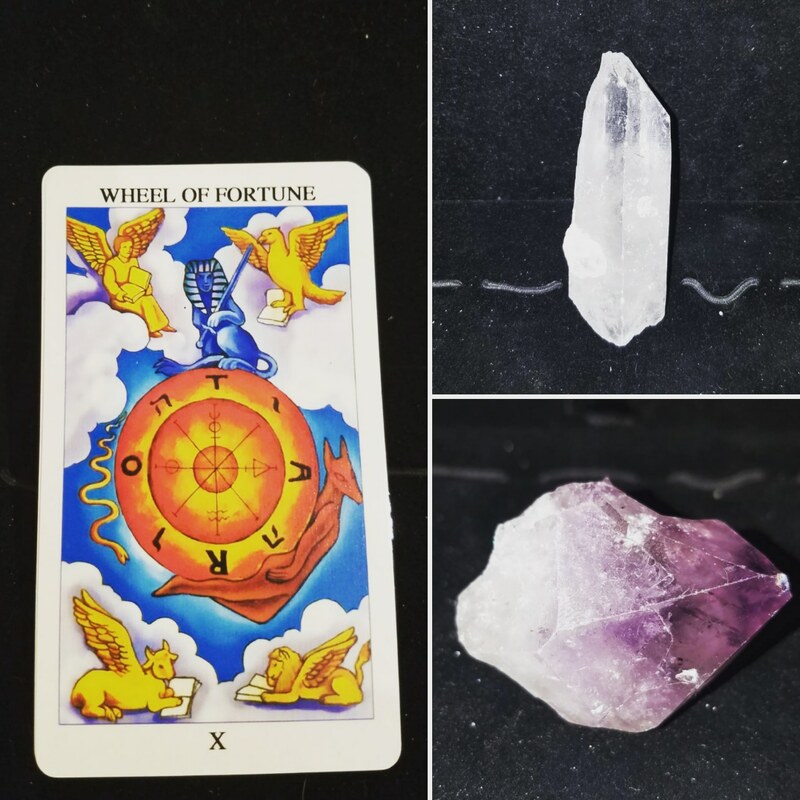 you get an amethyst crystal along with the clear quartz, video link on programming your crystals, and complimentary one card Tarot reading! Get gifts, and get cool free stuff for YOU! Get Stuff for YOU and use cool free stuff as gifts!! ITS A WIN-WIN any way you slice it! This deal applies to Gift certificates as well. Valid in store or at any fairs we vend at on merchandise, healings, readings, classes, advertising. Previous PostPrevious Des Moines New Age & Psychic Fair!!! Next PostNext New Tarot & Oracle decks at the Shop!!!! !